This Thanksgiving we decided to go to Disneyworld because it the only holiday that Madison gets a full week off. We left at 1:00 am on Saturday morning. We like to drive during the night so that the kids can sleep and they won’t be asking us every 5 minutes “Are we there yet?” LOL. 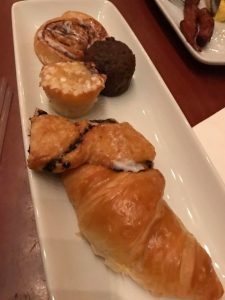 We would get to Orlando around 10:00 am and we usually go to our hotel to check if our rooms are available…if it isn’t then we would HIT the parks and come back later in the evening and check in….but this trip was a little different…we didn’t get back to our hotel until 11:00 pm!!! 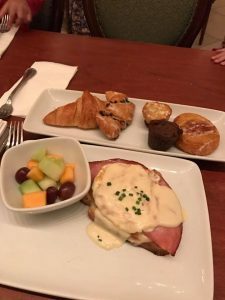 This trip we stayed off grounds because we had used up all of our DVC (DIsney Vacation Club) points on our cruise back in April 2018 when we went during our Easter break. 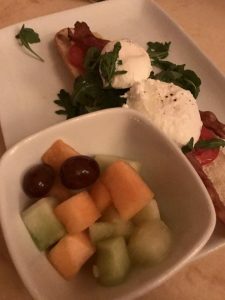 We stayed at Staybridge Suites Lake Buena Vista…it was a 2 bedroom 2 full bath suite with a FULL KITCHEN. 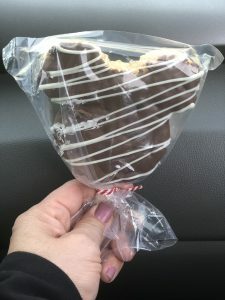 For the price …it was not bad at all. 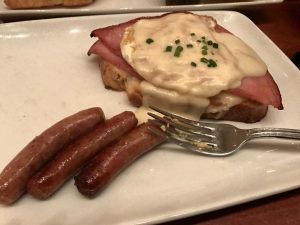 They also served a full breakfast buffet every morning. 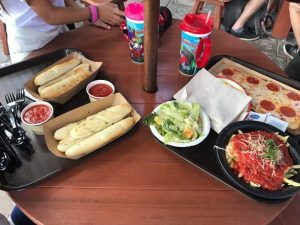 I was gonna blog about each day but that would just BORED you guys to death …plus somedays we would hop from one park to the next..so I figure I would blog about each individual park instead. Let start with Magic Kingdom. 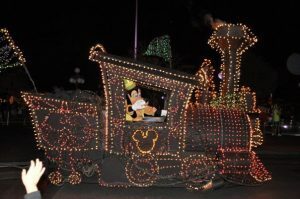 Magic Kingdom is our FAVORITE park ….so we usually go there more than the others. 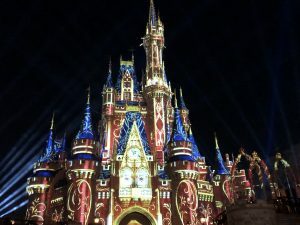 Plus, Magic Kingdom park hours are usually longer than the other park hours. 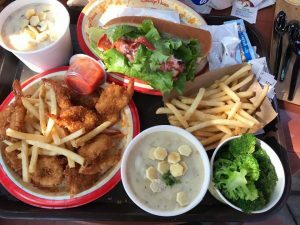 FIrst thing that you need to do is DOWNLOAD the MY DISNEY app…because you can get FastPass, Reserve DIning, Order Food, and link DINING reservation and PHOTO all on this app. 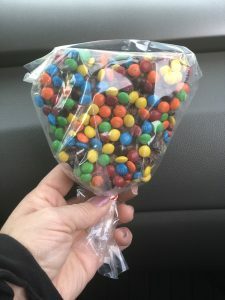 Plus, it gives you Park Hours and WAIT time on the rides!!! ITS AMAZING!!! 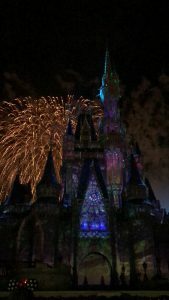 Also, the FIREWORK at MAGIC KINGDOM is AMAZING!!! 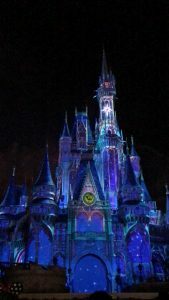 All the parks put on a great night show…but Magic Kingdom is by far the BEST!!! 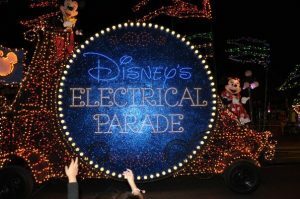 They used to have the Electric Parade but they stopped having them. It was a great parade…it usually right before the fireworks. 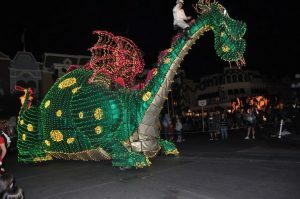 We only saw the Disney Festival of the Fantasy Parade. 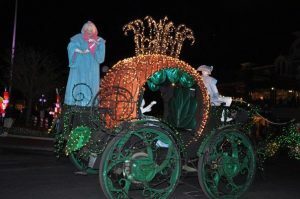 They offer the Mickey’s Once Upon A Christmastime Parade at 8:30 PM and 11:00 PM but its a Special Ticket Event for Mickey’s Very Merry Christmas Party which is $99.00 for (age 10+) and $94.00 for (age 3-9). 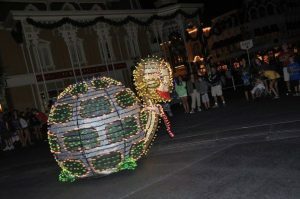 We only saw Holiday Wishes-Celebration of the Season Parade which was at 2:00 pm. They also have the Move It!! Shake It!! Dance & Play It!! Street Party which is at 10:00 AM, 11:30 AM, and 4:40 PM every day. 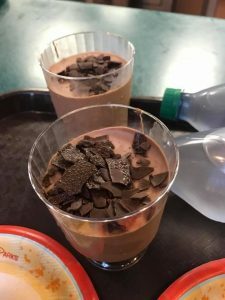 These CHOCOLATE MOUSSE is delicious!! But our ABSOLUTE FAVORITE place is BE OUR GUEST restaurant..the food there is AMAZING. It is a sit down meal!! When we hit Magic Kingdom…we usually hit most of the rides…each one of my kids have a few favorite so we try to go on all of them for them. Its funny how they can go on the same ride 2x to 4x the same day and NEVER get bored of it. We all love the Seven Dwarf ride which is always a wait of over 100 minutes!! 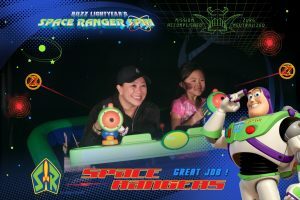 We also LOVE BUZZ LIGHT YEAR!!! We manage to go there 2 times. They also snap a picture of you and when the ride is done…and on your way out…they show your picture on the screen…and you take you MAGIC BAND and swipe…it will download your picture to the My DISNEY app. 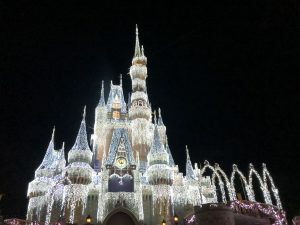 Magic Kingdom is our FAVORITE PARK out of all the parks at Disneyworld. We always go to Magic Kingdom more than once when we are on vacation. 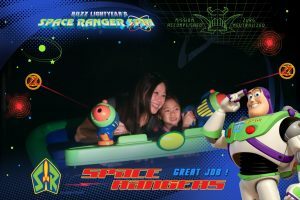 We got lots of pictures this trip from our passport because we are Disney Platinum Plus Passholder. So we get free PASSPORT pictures that we can download to our phone and print them out or share with families and friends. We also can go to the water parks. NO BLACK DATES!! 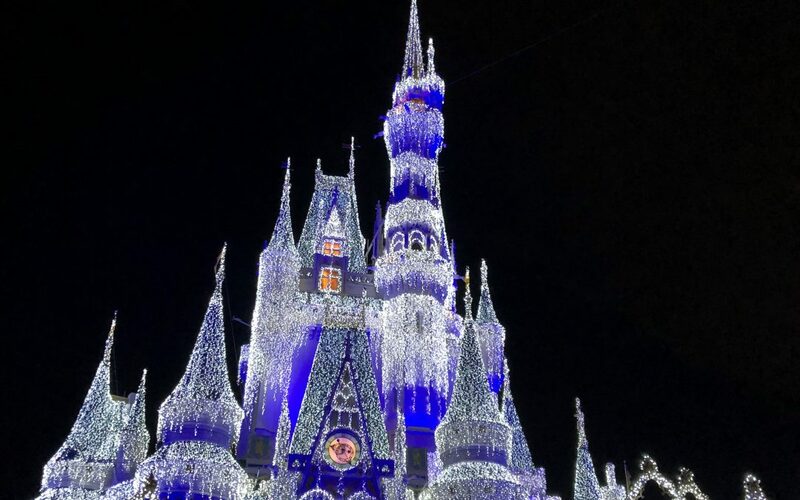 If you need some suggestions for a VACATION….I highly recommend DISNEYWORLD!! 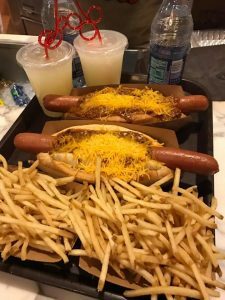 There is so much to see and DO at DISNEYWORLD!!! !